WR 676A (Collector Walter Rausch) Uyuni to Tupiza, Potosí, Bolivia. 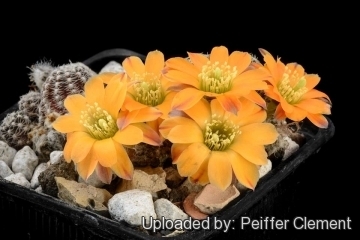 Description: Rebutia pygmaea var. 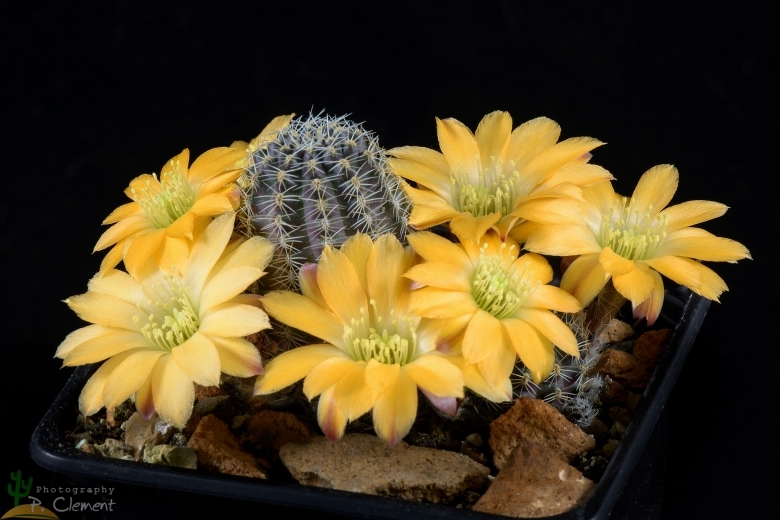 knizei (Rebutia knizei) is one of the morphological or local forms of the very variable Rebutia pygmaea characterized by yellow or orange-yellow flowers with green stigma lobes. Although R. knizei is very similar to Rebutia diersiana they come from quite faraway sites. The former grows at higher altitudes (3800 m) and also in collections is much rarer. Moreover it has sharper petals and the spines are more dense, otherwise the number of ribs and radial spines is the same, the colour of the flower as well. The stems is dark-green and take a violet tinge on in the sun. Cultivation and Propagation: Rebutia pygmaea var. knizei (Rebutia knizei) is a summer grower species that is easy to cultivate and recommended for beginners. It has has delightful flowers and the plants remain compact, and clumps can easily be managed by division. Another advantage is that the plants are very cold hardy in Winter if kept dry.